Many beginners may see a re-raise on a bluff raise and be tempted to fold. 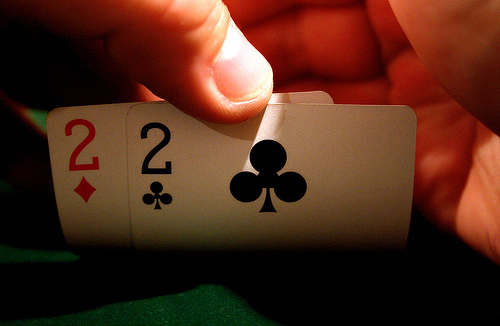 Depending on your opponent, you may just be able to re-raise again and get them to fold. On the other hand, if your opponent doesn’t bet on a bluff and you have the bluff, folding may be your best bet that round. 3) Don’t bluff too often. This should be a no-brainer. Bluffing is a tactic to get people to fold. Obviously if you are bluffing, you don’t hold a winning hand. Even rookies will soon figure out to call your bluffs if that’s all you do. Make sure that you win some hands outright via slow play, aggression, etc. Be unpredictable. 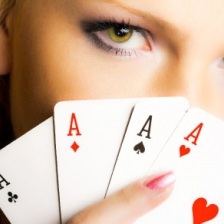 So, there you have it – three tips to whip beginning poker players. If you see your opponents dropping off the tables like flies, don’t feel bad. You aren’t there to help them. You’re there to take their money.